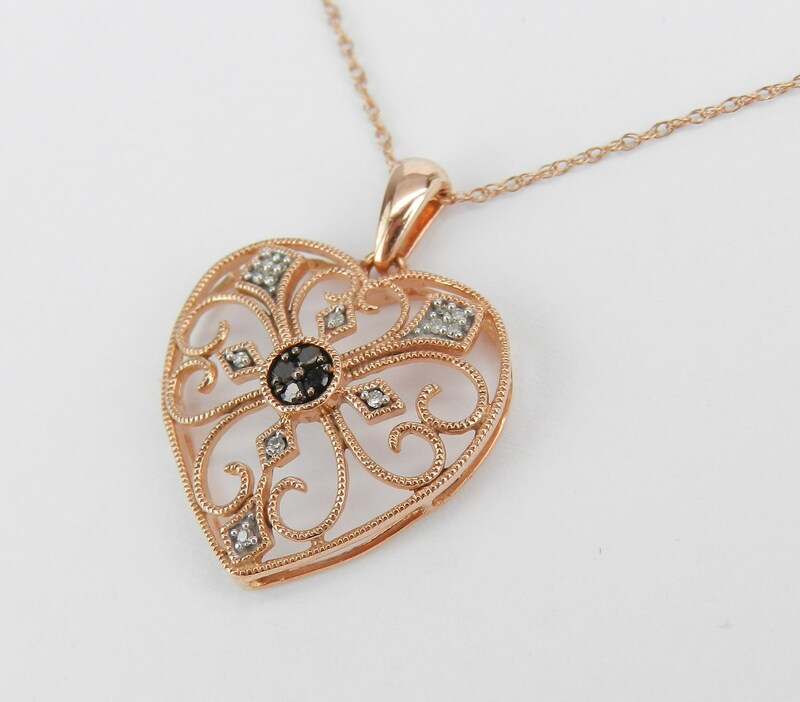 Rose Gold Black and White Diamond Heart Pendant with Chain. 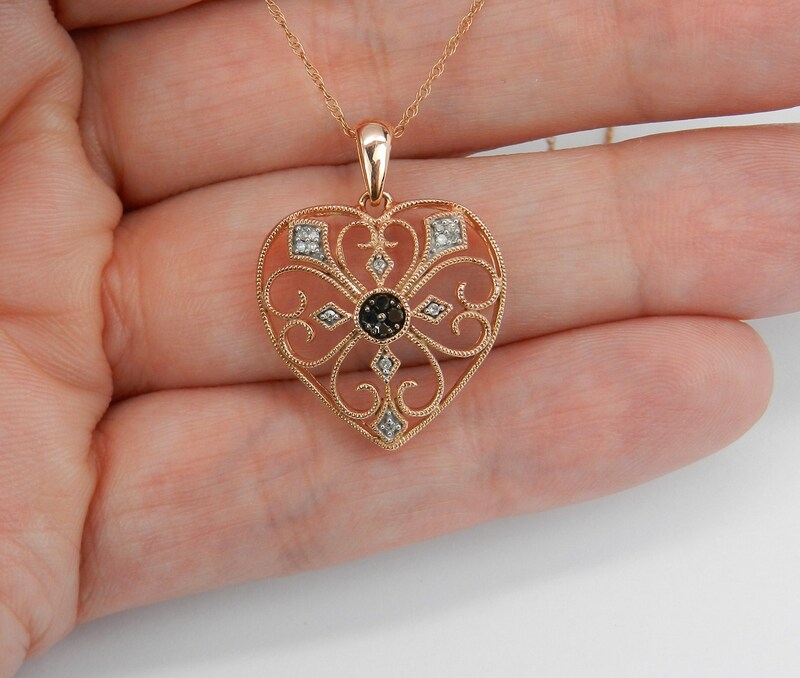 This heart is set with four Round Black Diamonds and thirteen Round White Diamonds. These diamonds are H color, SI/I clarity and combine to a total weight of .15 carat. 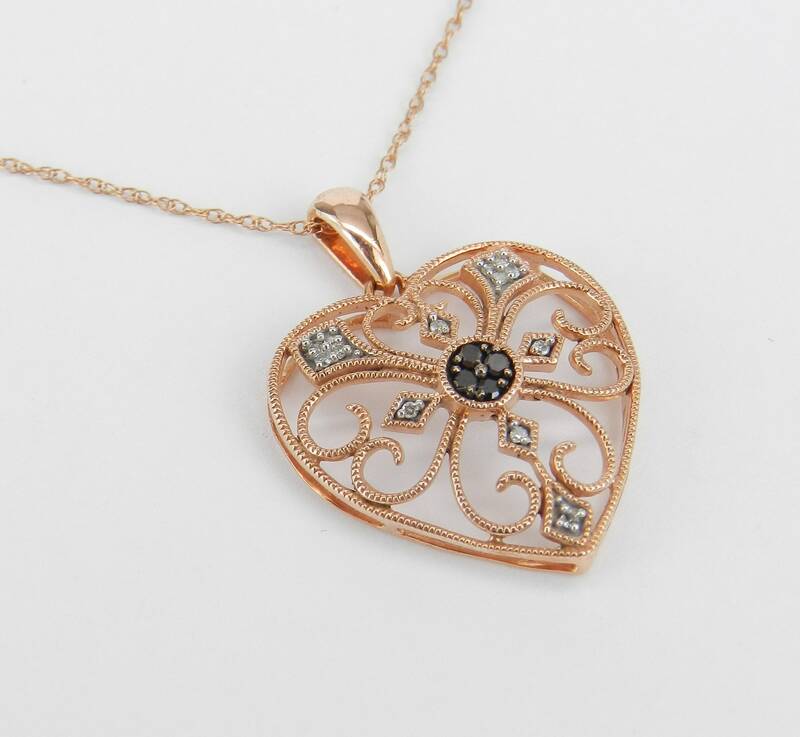 The heart measures 19 X 19 mm and weighs 2.4 grams with the 18" included chain. 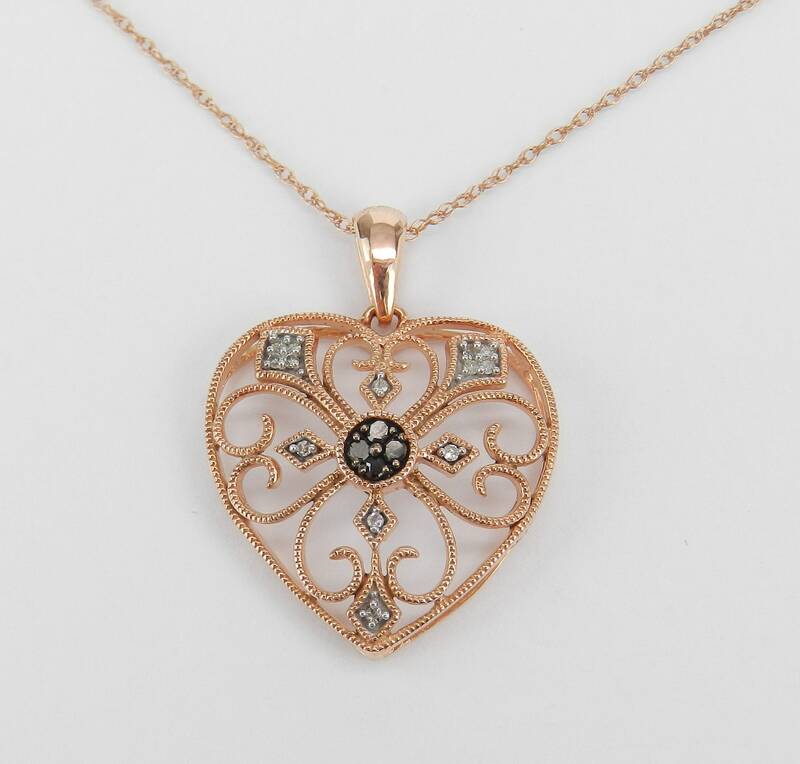 The pendant and the chain are both 10K Rose Gold and accompanied by an appraisal, valued at $985.00. 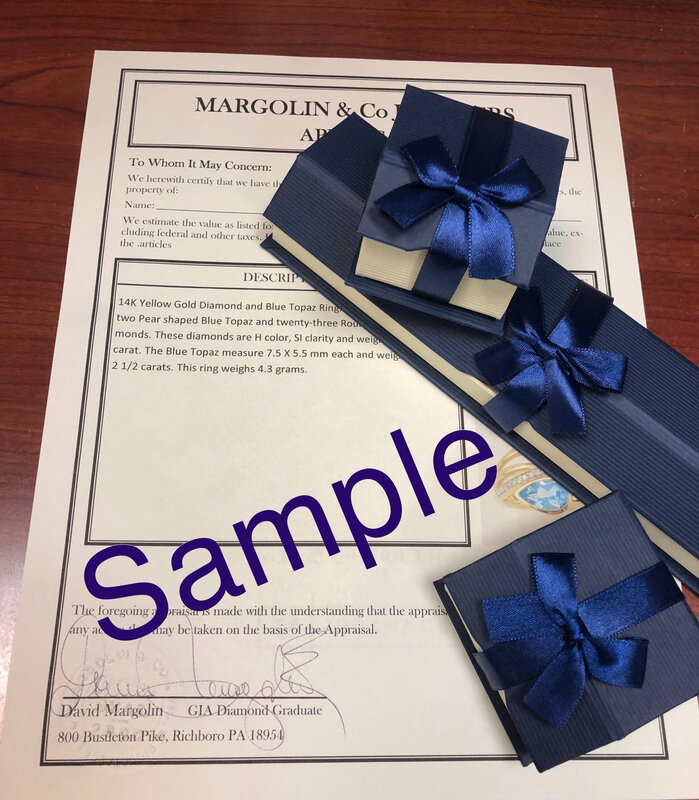 The necklace will be shipped promptly in a gift box.